If the smartwatch becomes simply a mini-phone, used for every possible interaction, then we will simply be walking down the street squinting at our watches, rather than staring at our phones. The Las Vegas Strip is a strange place at any time of year, but many of us only experience it during CES when it is overflowing with an eclectic mix of tech geeks, box-makers and execs all looking for – or touting – the next Great Invention. Without CES, the crowd is the more typical mixture of tourists and party-goers armed with “selfie-sticks” and smartphones, as I discovered this week. This combination of gadgets can make traversing the Strip a little more challenging: one has to be constantly alert for a selfie-stick side-swipe by an oblivious tourist looking for yet another perfect photo, for example. But the smartphone itself can create just as much of a challenge: simply put, when the phone comes out of the pocket, its owner slows down, stops completely or just randomly meanders while immersed in the latest Facebook update, chat message, email or … well, pretty much anything. And this is (perhaps) where the smartwatch can help us. The watch’s great strength will be allowing us to “glance” rather than immerse ourselves in the alerts that come to the phone. The watch vibrates, we glance at the message and then go back to what we were doing. As easy as glancing at a watch to see what time it is… or is it? The challenge for all smartwatches will be to determine the ideal balance between telling us enough information and telling us too much. That applies to both the depth of information per alert, and the frequency of alerts. If we get too many alerts, the vibrating wrist becomes nothing but an ongoing annoyance; too few and we won’t feel confident that we’re getting enough information about the wider world. But the more challenging issue will be the depth of information provided. Should the content engage us, or quickly inform? Considering the population of the Strip, these users were completely sucked into the smartphone, rather than enjoying the sights around them: if anything, the “glance” was for the real world, not the smartphone. So we need to retrain ourselves a little bit when it comes to the smartwatch. There is an instinctive sense that the watch will help us be more connected. The ongoing alerts and the knowledge that we will miss nothing and instead know everything immediately, is a key purchase driver for the smartwatch. But the reality – if we embrace the watch correctly – is that we should be able to limit our informational needs to quick glances from a select group of people, safe in the knowledge that we’re getting the good stuff now, and that the selfie-posts can wait till later. 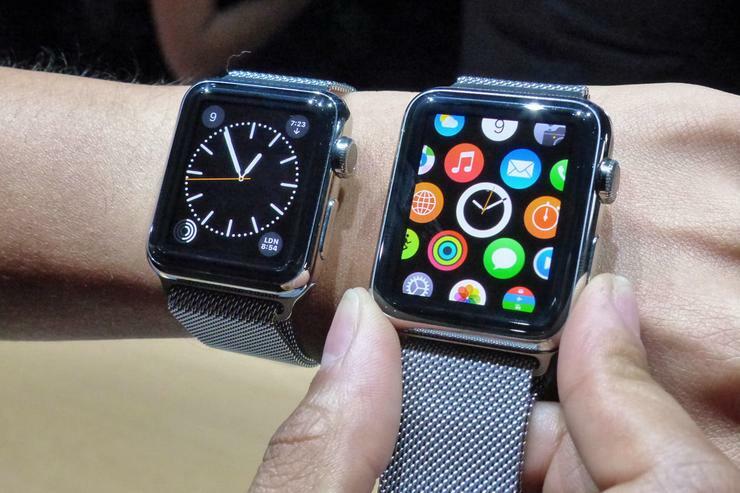 If this works, the smartwatch will have a valued place on our wrist. But if the smartwatch becomes simply a mini-phone, used for every possible interaction, then we will simply be walking down the Strip squinting at our watches, rather than staring at our phones. And that is hardly an evolutionary step that we should want.